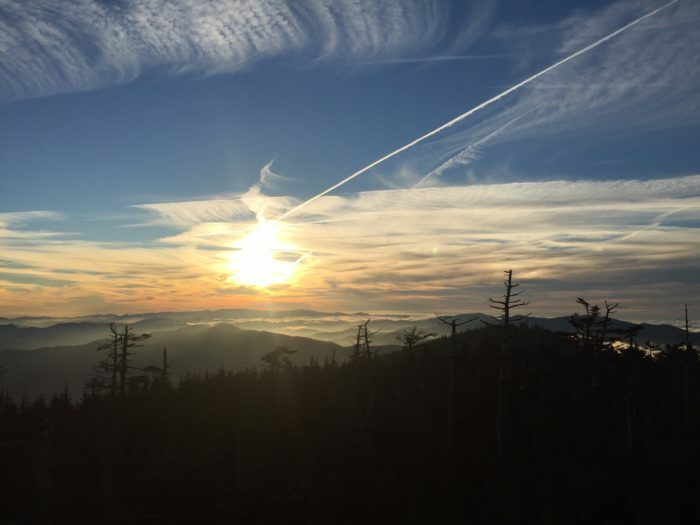 While the thought of your “ideal Thanksgiving” may bring up visions of sitting at home on the couch watching football and being surrounded by a ton of food, hiking SOBO means that there is a good chance you will still be out on the AT for the November holiday. While at first this may seem like a downside to hiking southbound, it is actually quite the opposite. 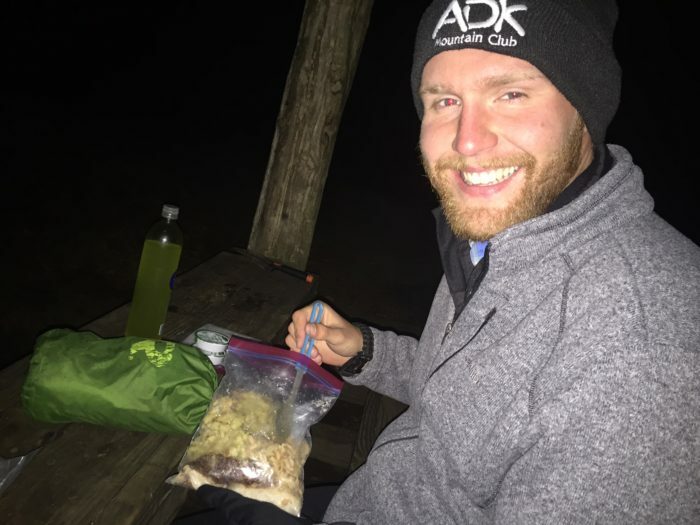 Spending Thanksgiving on the Trail is not only possible but is likely to become one of your favorite memories of your thru-hike. 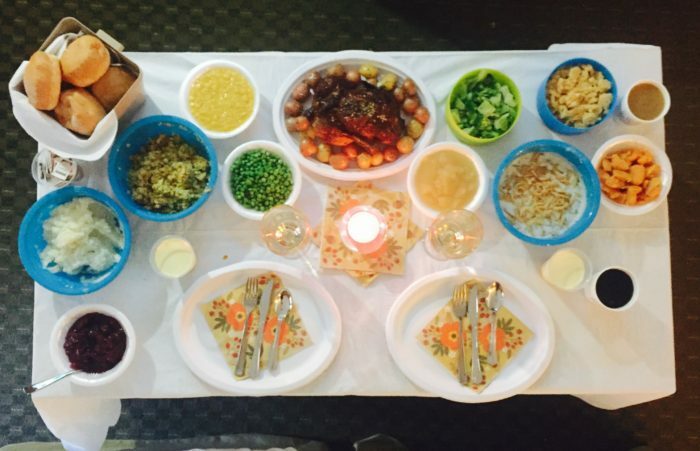 Luckily for SOBOS, there are a few different options of how to spend Thanksgiving. 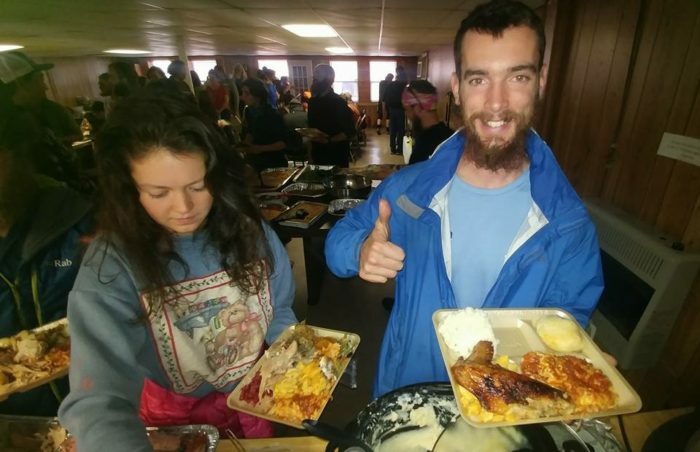 First and foremost, the wonderful Trail Angel Miss Janet organizes an annual Hiker Thanksgiving in Hot Springs, NC. This event is famous trail wide and makes up for the fact that Trail Days is usually held before we start our hike. 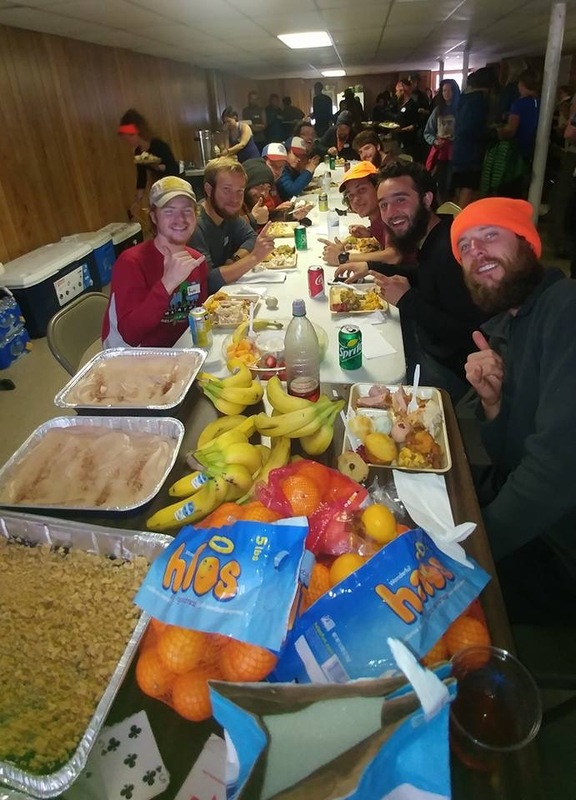 The celebration involves plenty of food, a chance to catch up with fellow hikers that you haven’t seen in weeks/months, and a chance to relax and refuel before the final push down to Georgia. Don’t worry about timing it up to make sure that you hike through Hot Springs precisely on the afternoon before Thanksgiving; Miss Janet and her tribe of Trail Angels are amazing and willing to work with you to set up rides/shuttles from various trail locations nearby. We recently spoke with Miss Janet, and Hiker Thanksgiving is 100% on for 2017. You can find more information here, or send her a message on Facebook for more details about arrangements. 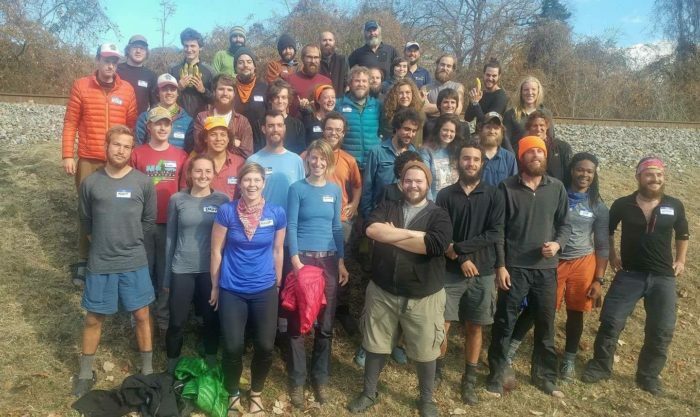 Some of the 2016 Hiker Thanksgiving group! If heading to Hot Springs isn’t really in the cards for your hike or you can’t backtrack to North Carolina when you’re so close to Springer, you can head into the nearest town by you and take a zero. 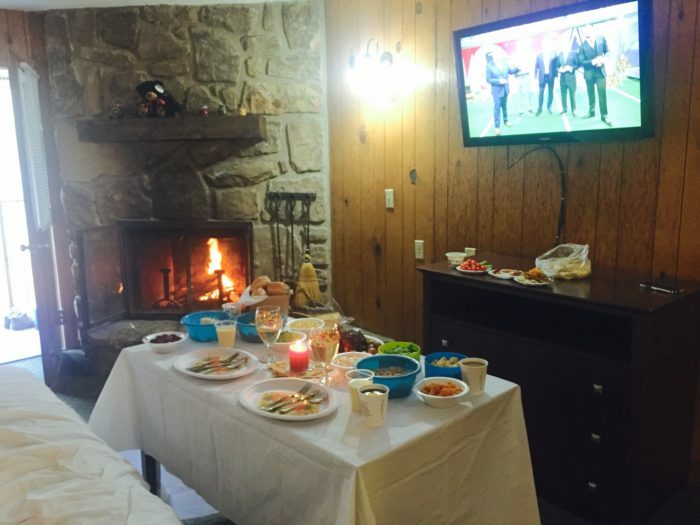 Treat yourself to a nice room and watch the football game. Plus, what better stomach to spend Thanksgiving with than a hiker stomach? Say you get to town and decide you want to take a crack at making your own “Thanksgiving dinner.” When you think about it, the main dishes at Thanksgiving aren’t too complicated and can – if you’re willing to get creative – all be made with just a camp stove and a microwave. And that’s exactly how we celebrated Thanksgiving when we were on the Trail. Luckily for us, our mileage worked out to have us reach Newfound Gap (which is right smack dab in the middle of the Smokies) on the Wednesday before Thanksgiving. 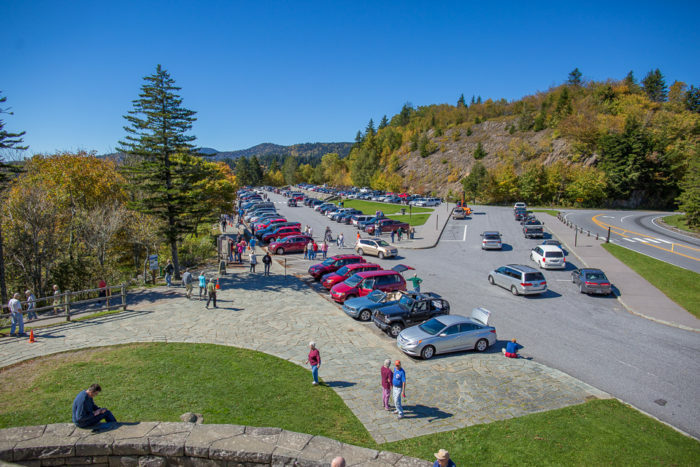 The road down from Newfound Gap takes you into the eastern Tennessee mountain town of Gatlinburg, which has attractions ranging from cable cars to ski resorts to amusement parks. And BOY was it a culture shock. The parking lot at the Gap was a complete mob scene filled with families running around all over the place. Even though we stood there for a while hoping for a hitch, we ended up calling a shuttle that picked us up and brought us into town. If we thought the parking lot was crazy, that was just the beginning. Gatlinburg felt like a Disney World for adults who had spent the last four months living in the woods. Waterboy was so excited that he had to stop at the first Dunkin Donuts we saw for a donut…then at Ben & Jerry’s for a chocolate dipped waffle cone…then at second Dunkin Donuts for an iced coffee. 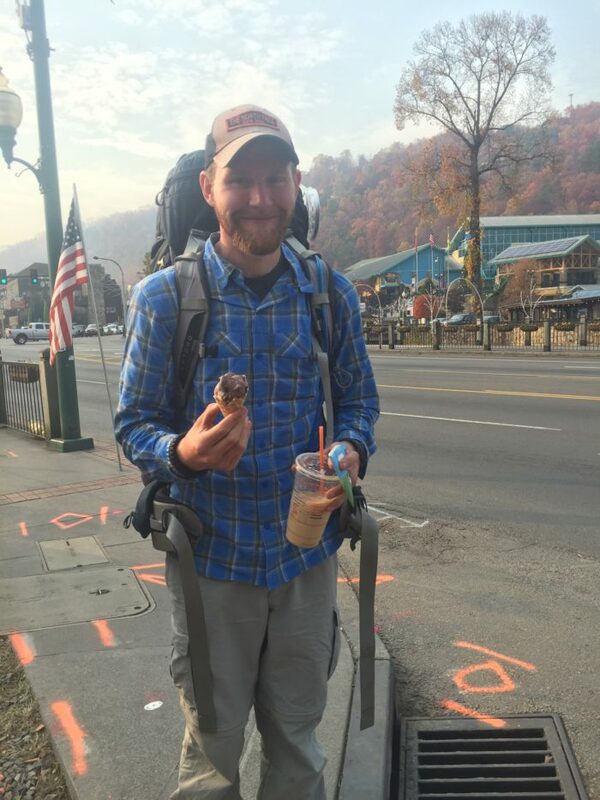 Gatlinburg is essentially the exact opposite of life on the trail, and can therefore provide a much needed break if you get the chance to go down to visit. We found a cute little hotel (that even had a fireplace) and decided to call it home for our glorified Thanksgiving zero. While my mom had sent us an amazing holiday box as a surprise, we still felt the need to empty out Waterboy’s backpack and take the town trolley to the local grocery store. After which, we promptly ordered a pizza (one for each of us) before wandering around the Christmas light filled tourist town. Now, here’s the nitty gritty, ultra-secret details about how to make a simple yet delicious Thanksgiving dinner on the Trail. And that’s it! You didn’t realize how simple it would be, did ya? We used the festive paper plates & napkins my mom sent us, set it all up on the hotel table, and laid in bed all day while we watched the parade/game and ate Thanksgiving dinner like we never had before. Oh, and can’t forget dessert! 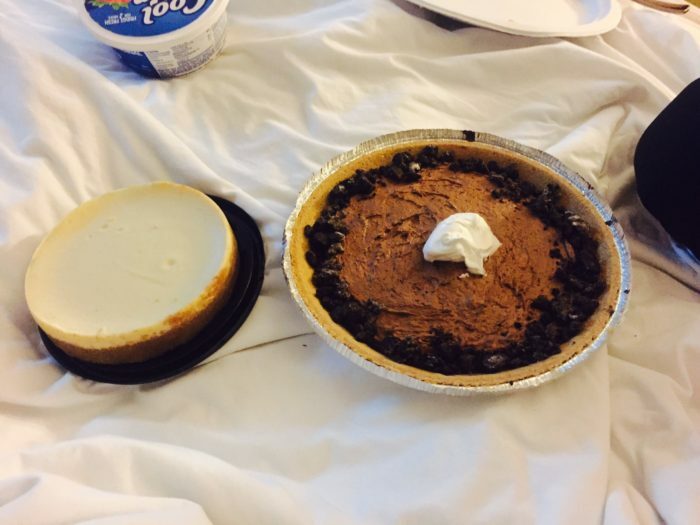 We made an instant pudding pie on premade crust, topped with CoolWhip and bought one of the grocery store cheesecakes. You’re probably thinking that this seems like a lot of food for two people, and you’re right; we didn’t finish it all in one day. But we filled up some ziplocs and packed out the leftovers for dinner the next night (we couldn’t miss out on the Thanksgiving leftover tradition!). If the first two options don’t work out for you or you would rather not head into town, you can always celebrate the holiday by staying on Trail because after all, that’s what we’re all the most thankful for.